Today we will be looking at Mockingbird, part of the new Captain America wave for 2016. The figure comes in the new style of box that all the Legends will use now, the wave of Build-A-Figure is at the top left of the box, with the new Legends Series right below that. The figure is clearly displayed in the box with the Captain America logo below. This figure is listed as Agents of Shield. Mockingbird shares the same packaging as the Sharon Carter figure. 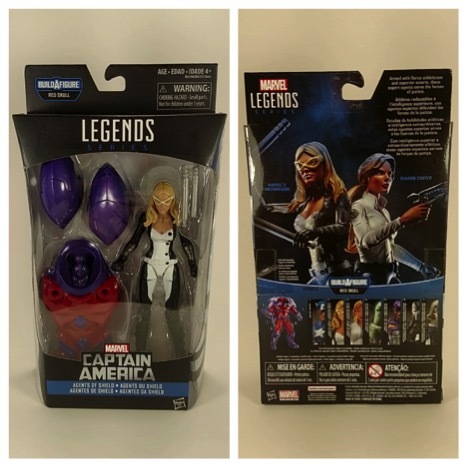 The back of the box displays both Mockingbird and Sharon Carter, with pictures of Red Skull, Onslaught and the rest of the figures in this wave right below. 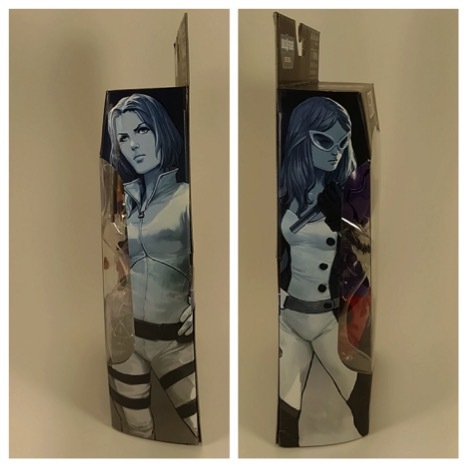 The side of the packaging features a picture of Sharon Carter on the right and Mockingbird on the left. Mockingbird comes with the torso for the Red Skull Build-A-Figure; we will take a closer look at them when we complete the wave. She also comes with two battles staves; her weapon of choice. They can connect together to form a staff. Mockingbird stands just at 6 inches. Head is on a ball joint with a neck hinge joint (hair does hinder movement). Here she is next to Captain Marvel and an older Sharon Carter figure. And here she is next to some of her fellow Agents of S.H.I.E.L.D. Overall, Mockingbird is a solid figure. I know a lot of people have been waiting for a good Mockingbird figure thanks to Adrianne Palicki playing her on TV in Marvel’s Agents of S.H.I.E.L.D. and this one doesn’t disappoint. She is a nice addition to any collection and fits in great with any Avengers or S.H.I.E.L.D. lineup you might have already.